WE CELEBRATE OVERACHIEVERS WHO GO ABOVE AND BEYOND TO BE THE BEST VERSIONS OF THEMSELVES. WHAT SETS YOU APART FROM THE PACK? ARE YOU AFFILIATED WITH ANY CHARITIES OR NATION / LOCAL ORGANIZATIONS? IF SO, WHAT ARE THEY AND WHAT IS YOUR ROLE? 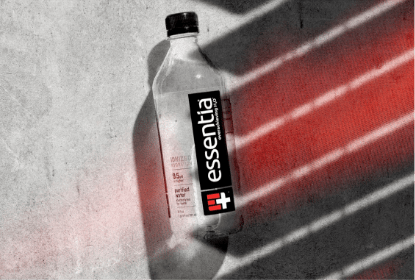 HAVE YOU EVER PROMOTED ANOTHER WATER OR BEVERAGE BRAND? IF SO, WHAT BRANDS? DO YOU OFFICIALLY WORK WITH OR REPRESENT ANY OTHER BRANDS? PLEASE LIST THEM. IS THERE ANY ADDITIONAL INFORMATION YOU WANT US TO KNOW?